It was the summer of 1989. 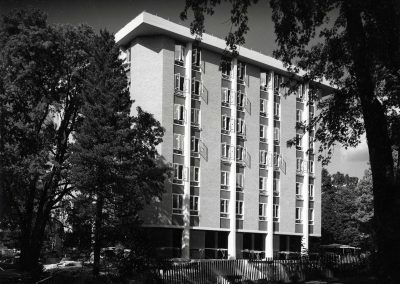 Behind Watson Hall, the student dormitory built in 1966 by American architect Minoru Yamasaki, a group of Japanese students gathered on the lawn for a picnic. 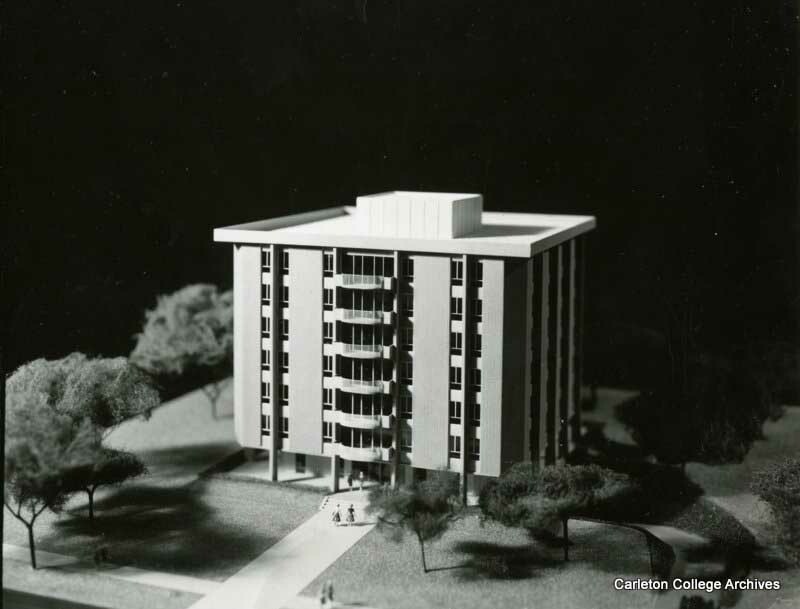 They were at Carleton to improve their spoken English. 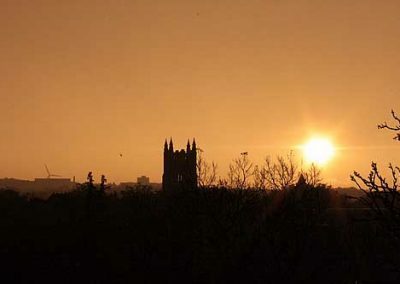 As a young blond Carleton student came out of Watson, the picnicking students made some sly comments in Japanese about how beautiful she was. Much to their surprise and embarrassment, the blond student walked over to them and commented in perfect Japanese that it was impolite to make such comments about young American women and presume that they would not be able to speak Japanese. She had grown up in Japan and now lived in upstate New York, and she had ridden her horse that summer all the way to Carleton. Yamasaki, whose own daughter had graduated from Carleton, would have been amused about how stereotyping of people can be misleading. Having grown up in Seattle as a second-generation Japanese American, Yamasaki had moved his parents to New York City during World War II to protect them from being placed in the internment camps. By the 1960s, when he was chosen to design the World Trade Center in New York, he had become one of the most prominent architects in the country. 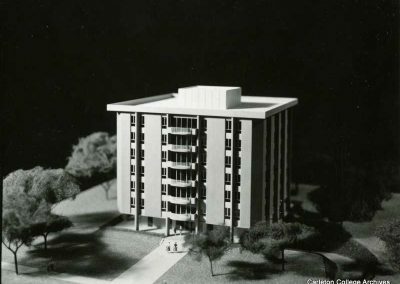 Yamasaki designed five buildings at Carleton in the 1960s including Goodhue, which borders Lyman Lakes. Watson Hall has elegant exposed columns and floor lounges that open onto porches with a view of the campus along First Street. 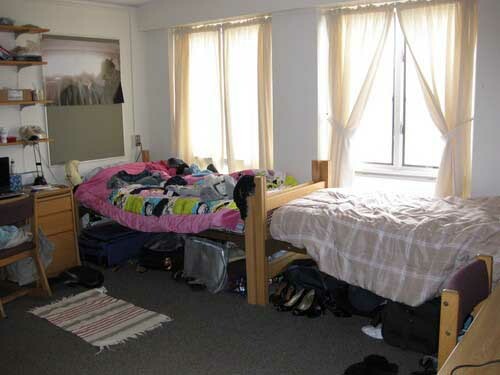 The dorm houses 161 students from all classes. The top floor is designated as a quiet floor where parties are forbidden. 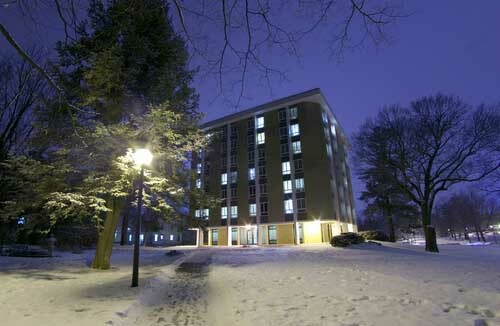 Seven-story Watson Hall is the tallest dormitory on campus. 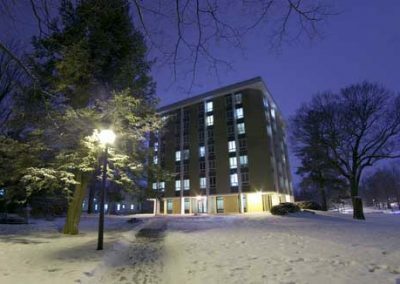 The top floor is often referred to as the “Pent House” because of the beautiful views of Northfield that can be seen from the balcony. 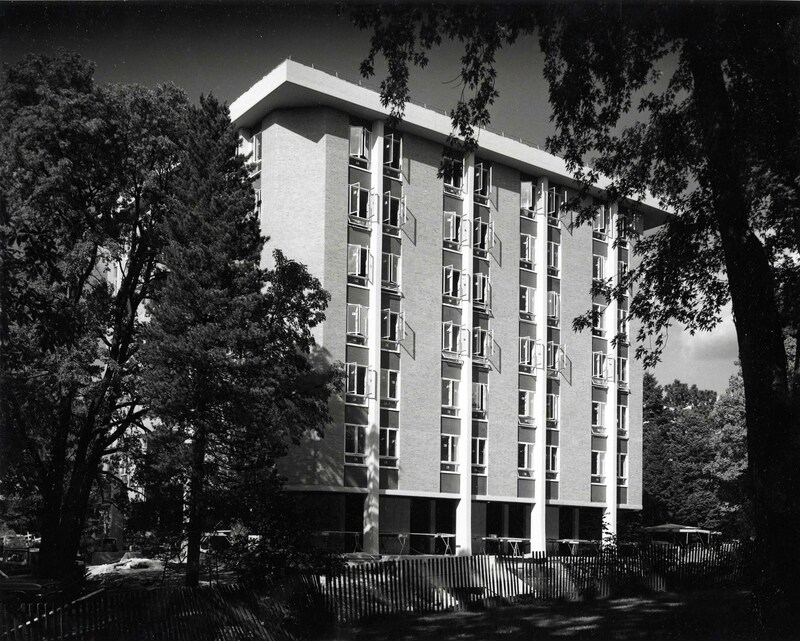 Watson was originally built to be an all-women’s dormitory but has been coed since the 1980s. One of the best places to watch the sun set is from the seventh-floor balcony of Watson. Most of Watson’s rooms are doubles like this one. However, the rooms on the corners of the building were originally (quite small) triples. Watson is normally approached from Maple Street, but there is a quieter path that goes along the back and past the Japanese Garden (to the left).